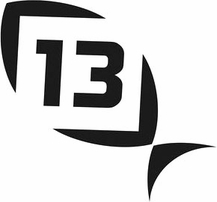 13 Fishing was founded in 2010 on a few simple principles: make products that anglers want, make your own luck and above all, enjoy the sport (or hobby) of fishing! The passion and joy for their craft can be found in each of their rods, reels and accessories. TackleDirect has 13 Fishing rods for any angler, including spinning rods, crankbait rods, casting rods and inshore rods. Every rod, from the high-end Archangel to the affordable Muse Gold, is carefully designed for balance, performance and aesthetics. Their Concept reels are up to the challenges of the Gulf Coast with sealed bearings, Bulldog drag and the most advanced braking systems. You’ll be just as satisfied with caps, visors and decals that show off the luckiest number in fishing.